Template compatibility: Joomla 3.9, Joomla 3.6, Joomla 3.1, Joomla 3.0, Joomla 2.5. Responsive layout: minimal width: 690px, maximal width: 1920px;. Support for mobile devices. Header with headline and slogan text. 71 module positions. Multifunctional top module positions for content. 8 module positions in the footer. Template compatibility: Joomla 3.9.0, Joomla 3.5, Joomla 3.4, Joomla 3.0, Joomla 2.5. Responsive layout: minimal width: 600px, maximal width: 1920px;. Support for mobile devices. Header with headline and slogan text. 68 module positions. Multifunctional top module positions for content. 8 module positions in the footer. Template compatibility: Joomla 3.9, Joomla 3.5, Joomla 3.4, Joomla 3.0, Joomla 2.5. 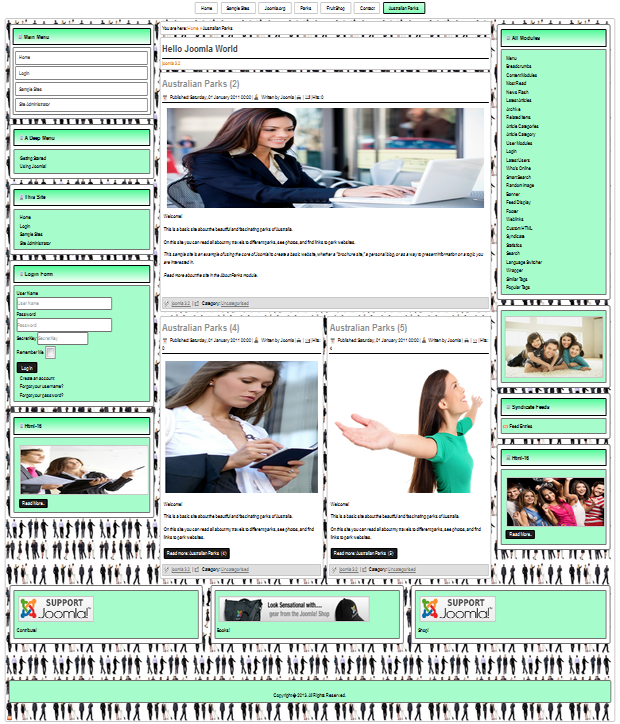 Responsive layout: minimal width: 690px, maximal width: 1920px;. Support for mobile devices. Header with headline and slogan text. 71 module positions. Multifunctional top module positions for content. 8 module positions in the footer. Template compatibility: Joomla 3.9, Joomla 3.5, Joomla 3.4, Joomla 3.0, Joomla 2.5. Responsive layout: minimal width: 640px, maximal width: 1920px;. Support for mobile devices. Header with headline and slogan text. 86 module positions. Multifunctional top module positions for content. 8 module positions in the footer. These pack templates are compatible for Joomla 2.5, Joomla 2.5.18, Joomla 2.5.19, Joomla 2.5.28, Joomla 3.0, Joomla 3.1, Joomla 3.1.1, Joomla 3.1.5, Joomla 3.2, Joomla 3.2.1, Joomla 3.2.2, Joomla 3.3, Joomla 3.4, Joomla 3.5, Joomla 3.6, Joomla 3.7, Joomla 3.8, Joomla 3.9.0 release. Category of article: Joomla 3.9 templates. Number of templates: 5 pcs. 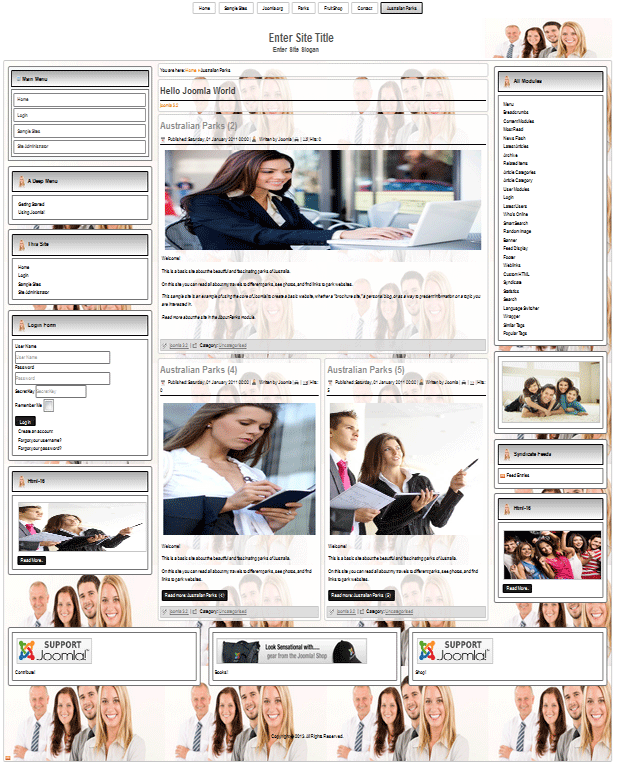 Purpose of the templates: To suit all your needs - responsive layout, ready to use with Joomla 3.x and Joomla 2.5. Full support for mobile devices. 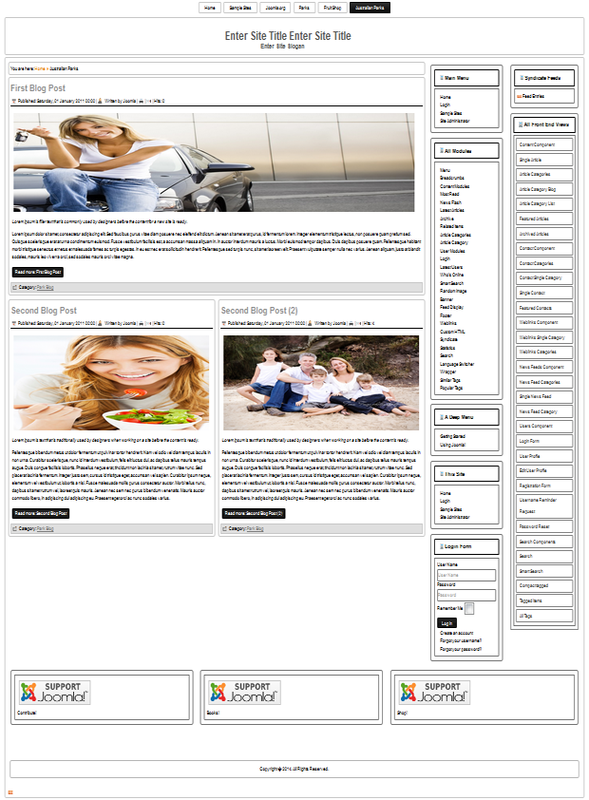 More templates for Joomla 3.9. Note:Unzip file after download !! !